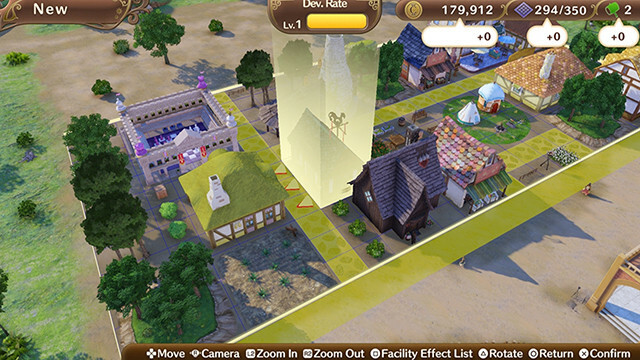 I only just recently got into games where you have to build and then oversee some kind of town or establishment. Last year’s Jurassic World: Evolution was my entry point in this particular genre, and I adored it, though I always wondered whether or not this was due to me actually digging the gameplay or just because I got to breed an army of Spinosaurs. Well, I guess the Animal Crossing games sort of count here, too, but I was never able to immerse myself in many of them, and they rarely have the urgency that most town-building/social simulators have. Instead, you’re just kind of building your own house and hanging out with quirky animal residents. It’s like if Gilmore Girls took place on the Island of Doctor Moreau. It’s cute. So when I was asked to review Nelke & The Legendary Alchemists: Ateliers of the New World, I didn’t know quite what I was getting into. I knew it was the latest in the Atelier series, but I had never heard of any of those games, so I was jumping in totally blind. In it, you play as Nelke von Lestamm, an aristocrat that is obsessed with the myth of the Sage of Granzweit and the Granzweit Tree, which is a sacred, mysterious tree that is a source of immense power. So her Dad makes a deal with her: She can go and search for this tree that’s apparently around the small town of Westwald, as long as she builds Westwald up and makes it prosper. So, aided by her supernaturally helpful maid Misty, she enters the town and, while recruiting many helpers and alchemists, tries to make it into the booming urban center that it was always meant to be, all while working with these alchemists to find the Granzweit tree. It’s a story that, for a game that’s basically about making sure that people are buying stuff from your shops, is juuuust complicated enough to keep your interest. 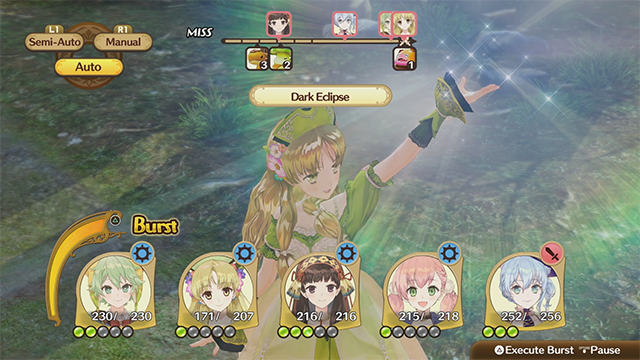 However, all of this information, including the ins and outs of navigating the menus and constructing your little city, is thrust upon you at the very beginning of the game, and if anyone is going to quit Nelke & The Legendary Alchemists: Ateliers of the New World, they’re probably going to quit in the first two hours. It doesn’t seem like it would be a lot, but it is, especially since there’s very few breaks in it. It’s a tutorial mode that feels more like a class lecture, and while the lessons that it provides are (mostly) necessary, I found myself itching to be able to just go off and do stuff on my own. 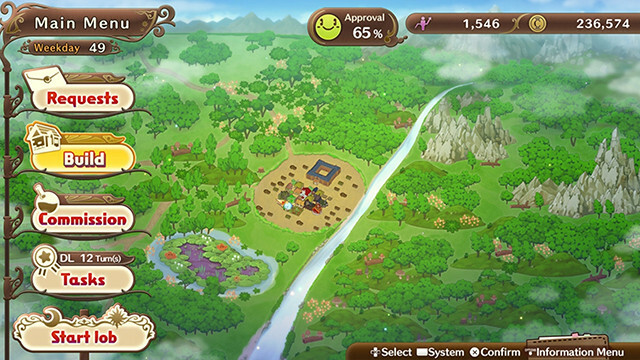 As someone very, very new to this series, I appreciate it holding my hand a bit and making sure that I don’t tank my village before I even really get started, but come on. It could’ve at least spaced it out a little bit. For example, it could’ve told me how to set up some shops, let me fiddle with that for an hour or two, and then brought up the investigation portion and how to fight off wild critters. That would’ve been way more enjoyable than the Economics & Alchemy 101 (with Light Monster Slaying) class that the first section of the game devolves into. After that, though, the game becomes infinitely more enjoyable, and if you feel swamped in note-taking during your initial sit-down with Nelke, powering through to the easy-going, fun part is worth it. 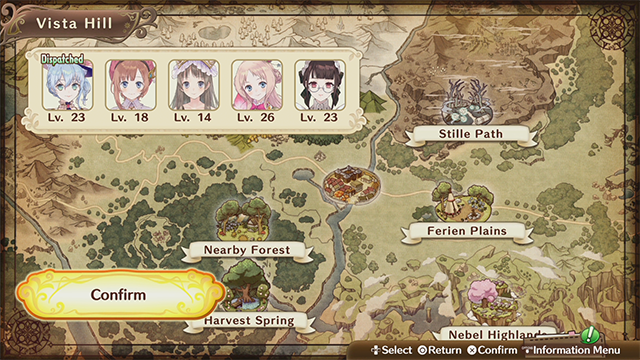 Because Nelke & The Legendary Alchemists: Ateliers of the New World can get seriously addicting. I lost time to it, and I don’t say that about very many things. The first time I played Nelke, I started around 7 PM and suddenly looked up to find that it was 12:30 AM. What? How? What had I missed? Had my wife and dog left me? Had an entire wave of hot anime memes come and gone? Luckily, I am still married, I still have a wonderful cattle dog, and the anime meme industry is still going strong, even though I lost 25% of my day to anime girls telling me that I need to sell more apple tarts and grow more wheat. I’m sure that, for long time fans of this series, the array of alchemists will provide an added bonus, as Nelke & The Legendary Alchemists: Ateliers of the New World marks the 20th anniversary of the series and many of the alchemists are from prior games. So it’ll be like a parade of old friends, coming in to make small talk, help you out with your quest, and prevent your town from falling into sadness and ruin. If you’re hoping that this atmosphere lasts and that the game doesn’t spiral into typical angst, you’re in luck. Sure, the characters have some issues, but they’re mostly resolved through hard work, cheer, and through Misty always being around to help. Seriously, (and especially in the early portions of the game), Nelke is always like “Gahd, I have to write up the report!” and Misty bursts in with “ALREADY DONE. I DID THAT AND BREAKFAST AND OUR TAXES, ALL BEFORE YOU WOKE UP THIS MORNING.” She’s incredible, and Nelke probably copied off of all of her papers. 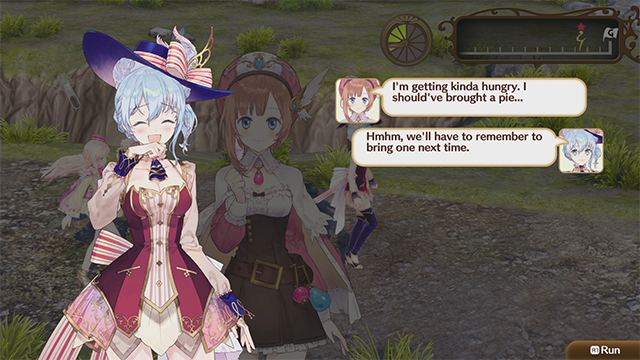 While I played Nelke & The Legendary Alchemists: Ateliers of the New World for the Nintendo Switch, it’s also available on PC and PlayStation 4. I recommend it to anyone with 1) The ability to sit still during an hour of slow tutorial, and 2) The ability to enjoy building a town and watching your population grow and thrive and demand more beer and apples. 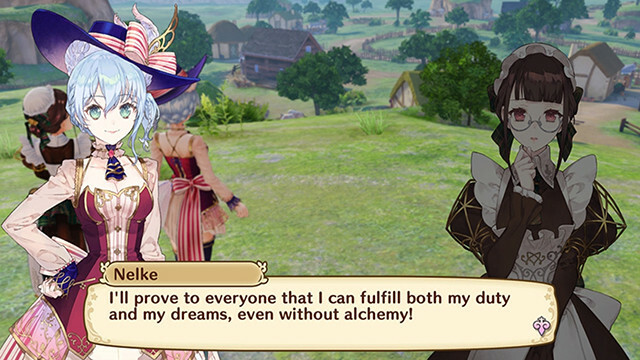 Have you played Nelke & The Legendary Alchemists: Ateliers of the New World? What did you think of it, or any of the other games in this series? Let us know in the comments! Daniel Dockery is a writer for Crunchyroll. He has a Twitter that is full of anime and general whimsy.